Beadneeds.com.au has 60% off its terracotta beads!! Great time to stock up on supplies. This is an Australian website but they do offer international shipping for those readers outside Australia. Fire Mountain Gems and BeadsÂ®, America’s favorite beading and jewelry supply company has released the new Poly-Rollerâ„¢ Machine. 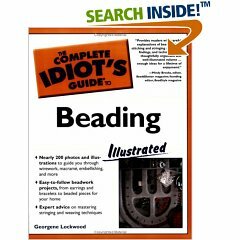 It’s ok to admit you might need a little help when it comes to beading and all it’s associated terminology. This idiots guide which is available all over the internet is a great encyclopedia to have on hand.